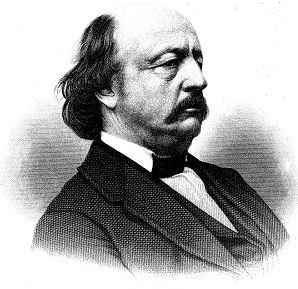 Ed Root’s program of General Benjamin Butler explored one of those historic characters who never fails to elicit strong opinion. He was both reviled as a criminal and scalawag and praised as a patriot in his own time. Today, he is most often one of the answers to questions about the Civil War’s most inept officers. Ed’s presentation was very fair and balanced (like Fox News!). Butler was not as bad as historians have made him out to be. There were the usual stories, some of which were quite humorous. Lots of new information. Ed is always welcomed back to Old Baldy. Ed Root retired as a business analysis after 34 years from Phillips Van-Heusen Corporation. An advocate for many years of American Civil War historic preservation, a Past President of the Civil War Round Table of Eastern PA, Ed has also served on the Boards of the Civil War Library and Museum in Philadelphia and the Gettysburg Battlefield Preservation Association. He is the co-author with Jeffrey Stocker of Isn’t This Glorious – The 15th, 19th and 20th Massachusetts Volunteer Infantry Regiments at Gettysburg’s Copse of Trees. The book garnered the Bachelder-Coddington Award for Civil War in 2006. 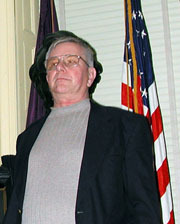 He served on the Stage II jury, which selected the winning design of the Flight 93 National Memorial in Somerset County, Pennsylvania in 2005. Ed has served on the Board of Directors of the Families of Flight 93, Inc., including a term as Board President. Additionally he has served on numerous committees within either the Families of Flight 93 organization or the larger Flight 93 Memorial partnership. Ed lives in Coopersburg, PA with Nancy, his wife of 41 years. This entry was posted in Meeting archive on June 10, 2010 by hlj.